This workshop takes the form of a dialogue on the culture of artist centres—their beginnings, their function, their operation, the presentation of an artist’s proposal, and the process this proposal goes through in the centre’s programming cycle. Offered upon request to university groups, the workshop is offered twice a year and through open registration. Should you have any questions, please write to schabot@skol.ca or call 514 398-9322. This workshop is specifically aimed at helping visual arts teachers find strategies for actively engaging their students in an appreciation of art. The workshop introduces participants to various models and theories of art response and to activities for fostering observation, analysis, and interpretation. 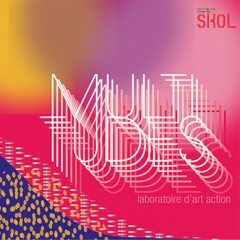 These activities will be explored through direct engagement with the works currently on view at Skol. Intended to broach an issue raised by an arts professional within Skol’s membership, an artist or theoretician recognized for their relevant expertise is invited to give a master class on the topic. On occasion, Skol will also offer specific practical workshops given by artist members. These workshops are intended for individuals wishing to develop, reflect upon, or renew their art practice.